For more than 70 years, Harris Company has been an industry leader in designing, building, controlling, and maintaining critical infrastructure for commercial, institutional, and industrial clients. Through growth and acquisitions, they had fractured into 19 sub-brands, most with their own website and identity. 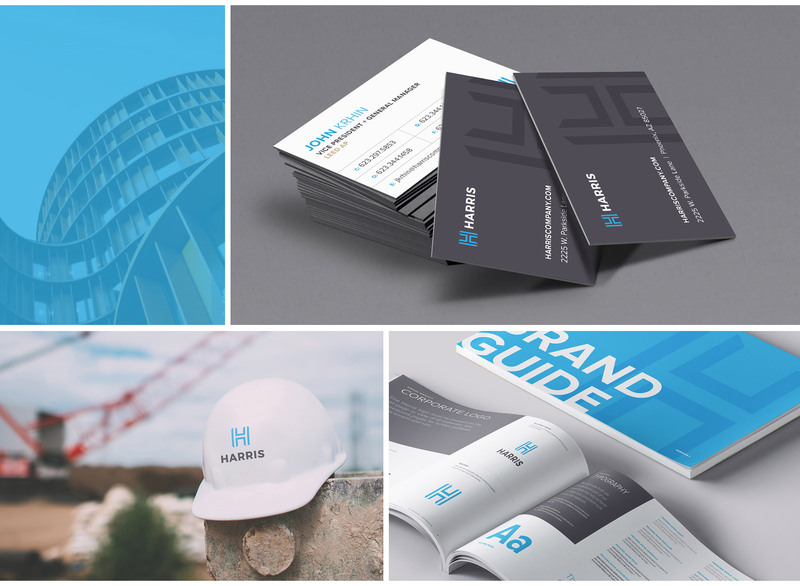 This caused confusion on major projects and left clients with an inconsistent experience and a lack of understanding of Harris services. Olive refined their corporate architecture and brand platform and identity, culminating in a cohesive, modern web experience that covered the full spectrum of their offerings and services. 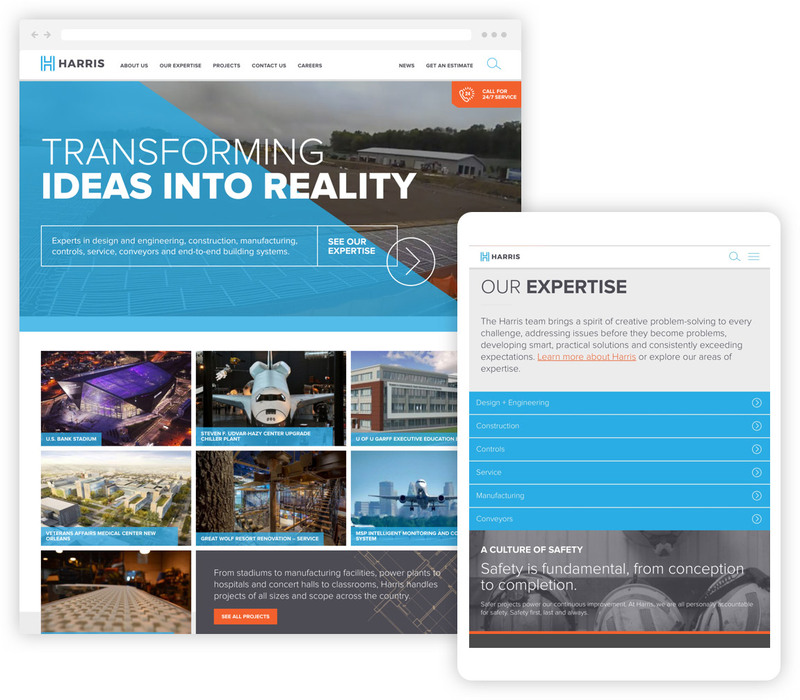 On the back end, we set up an intuitive content management system that enabled Harris’ internal team to quickly and easily manage the website. Conducted dozens of interviews to gather brand perception insights from key internal and external audiences. Designed touchpoint examples to guide the brand implementation process. Created an online brand guideline portal to streamline ongoing brand management efforts. Website changes led to substantial increases in traffic to key “expertise” content and service-focused conversions.